Fill out our simple form and get quotes from local security staff providers. Event security will put you and your guest’s minds at ease, knowing everything is safe and secure throughout your event. 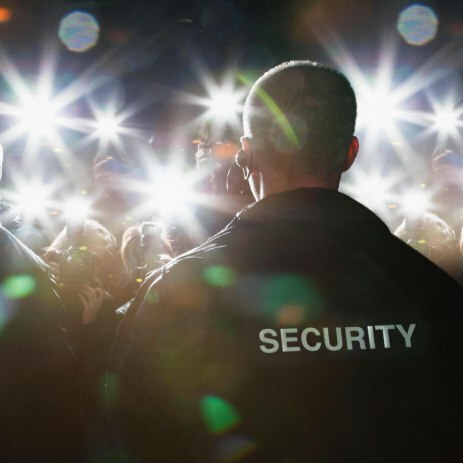 Contact our show and event security suppliers to get a quote for your event security. Door Supervisors, security officers, and a host of other security services for your events and parties. We are a Specialist provider of Security staff, including static guards, patrolling, Door Supervisors etc. Construction Sites, Offices, Schools & Colleges. Minimum 5 hours booking. We can provide fully trained, uniformed, licensed static guards and manned guarding solutions. Constantly assessing, pro-actively dealing with and securing your property or workplace. Event security staff will help maintain a great atmosphere during your event, while keeping everyone safe and secure. Security officers, bouncers, stewards and crowd management professionals will have all the relevant licenses and checks required to provide first class security at your event. Present at large shows and festivals but also, ever increasingly, at private events. Trained and skilled event security hire will keep everything in check and be the eyes and ears of your event, ensuring everything is running as it should be. To find out more about the kind of event security that would suit your event, or to simply get quotes for the personnel your require, browse our event security companies here. Once you’re ready you can submit a free quote request form and just need to wait to hear back from your local security staff suppliers.